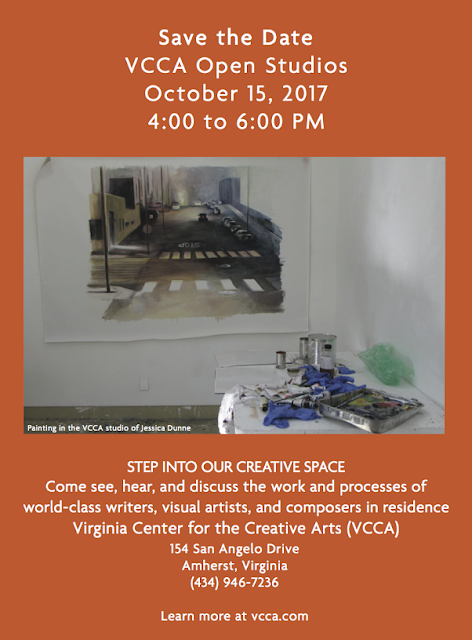 VCCA will have Open Studios from 4 PM to 6 PM on Sunday, Oct. 15th. This is a great opportunity to visit with some of our Fellows and learn what makes a VCCA residency so vital. Then on November 4th, we will host volunteers for a half-day (9:30 AM to 2 PM) of work on our grounds as we head into the winter season. We hope you might be able to join us; the more the merrier, of course. Bring your gardening gloves and tools! For more: vcca.com. VCCA's Instagram Postcard Contest 2017 Winners! 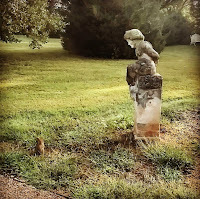 We appreciate all the photos submitted by our Fellows! Entries for VCCA’s 2017 Instagram postcard contest closed on Aug. 31st. The winning first-place image was unveiled at the VCCA Fellows Reunion in New York City on September 15th. We are most grateful to our renowned jurors, Langdon and Maude Schuyler Clay and VCCA Fellows Council vice-chair Amie Oliver, without whom this contest would not have been possible.